Hello and welcome to How To Beat Hair Loss, the podcast brought to you by Rahal. I’m your host, Chad Cooper, patient advisor here at Rahal, and I thank you for listening. The topic this week is 9 questions to ask yourself after a hair transplant consultation. This is very important because I know most people will do any consultations when they’re trying to decide whether hair restoration procedure is right for them or if they are a good candidate. Most of the time you want to see what surgeons do differently, the artistic differences, different techniques, completely different procedures in some cases. So very important to do your research and to be comfortable with the surgeon that you choose and going to go over the different questions to ask yourself after a hair loss consultation, starting with the first one, did the consultant or doctor go over my hair loss history? This is a good place to start because it’s pretty much your background information, going over the patient’s history, their age, what age they first started to lose their hair. That’s very important because it gives you an idea of how aggressive the hair loss has been. You want to go over the progression. Has it been a very fast loss, has it been fairly gradual or kind of in between. Also good to note what areas the hair started to thin in. So was it recession that first started to occur? Was it loss in the crown? Was it kind of a diffuse thinning throughout? All important factors in the final assessment, the final recommendation. So other questions going over a patient’s history is going over different medications that you’ve taken. Normally Propecia, Rogaine, Minoxidil, different vitamins, different shampoos. All of this information is important for the doctor or the consultant to get an accurate assessment. Question number two, did the consultant or doctor go over my family history of hair loss? Family history is important to go over because you do inherit the gene from somebody in your family unfortunately and it’s really the luck of the draw. It’s, based on your genetics, who you inherit this gene from will ultimately determine how aggressive your hair loss is. So good to go over all family members, fathers, brothers, uncles, grandparents, and how aggressive their hair loss pattern is. Something a lot of clinics do is they base this on the Norwood hair loss scale, a class system of different hair loss patterns. And they’ll have the patient explain by using this diagram where people in this family where they end up on this scale. So this just gives an idea of how aggressive your hair loss possibly could be in the future. So this takes into account a long term assessment as well. You could be just at the beginning stages of hair loss, and you can do a procedure but you also want to know what your options are in the future if you have to do more procedures and this gives the doctor an idea of that. Question number three, did the consultant or doctor go over your expectations? Obviously not all expectations can be met depending on what you’re looking to accomplish. It’s all based on your donor hair. They go over the different factors of the donor hair, hair caliber, different hair characteristics and do you have enough donor hair to cover the areas that you’re looking to cover? A lot of patients want to lower their hairline or fill in the entire scalp, and a lot of the time that’s not reasonable expectations because they don’t have enough donor hair to do it. So you want the consultant or the doctor to listen to your expectations and to see if they can be met. Most of the time you want to know long term you want reasonable expectations for the future. So very important that the doctor or consultant listens to your expectations. Question number four, did the consultant or doctor explain how the procedure they offer works, and the technical aspects of it? This is important because a lot of clinics or doctors offer different techniques. Do they offer the FUT procedure, the strip technique? Do they offer the FUE, one by one extraction? And how do they do these procedures. Going into technical information the procedure’s a three step process. First step is extractions, extracting the hair so either with the strip method or extracting one by one with the FUE procedure. Second step is incisions. Incisions are, they determine the angle that the hair will grow on. They determine the density how close the hairs are together. And the third step is implant the follicle. So these are all important to know the technical aspects, how the surgeon does each step. Do they use different sized instruments for extractions? Do they use different sized instruments for incisions? What kind of instruments do they use? There’s a lot of different methods for extracting with FUE, manual, automatic, robotic, many different options in that regard. So you just want to make sure that you understand the exact technique that that doctor uses and you’ve been educated on all the little things, all the little details that they do. What type of, sorry, what areas of the procedure the doctor actually does. Do they do the extractions, do they do the incisions, do they do the implanting or do they have team that’s assisting with them and what do they do? Just important to know all of these things. Onto the next question, question number five. Did the consultant or doctor explain how much time off you would need after the procedure? A lot of the time the recommended time off would be about two weeks depending on what you’re doing, if you’re working or if you’re in school. Reason being is because you do get a little bit of swelling and you do get a little bit of scabbing after the procedure in the recipient area and visibly those things are noticeable. So depending on how you feel, if you’re okay with people knowing you had the procedure done and you’re not hiding it then probably best just to take a few days off, wait for the swelling to come down, then you are able to wear a hat once the swelling comes down. So that’s usually about three or four days. And then you’re able to wear a hat to cover up the area. Scabbing occurs on the recipient area and usually starts at about a week after the procedure and can last as long as two weeks. So just taking into consideration all of these factors, that way you can calculate the proper time off you need to take after the procedure. Physically, mentally you can go back to work the next day after. But just the visibility of the procedure, obviously you probably want to take some time to just kind of take it easy and make sure the swelling goes down and make sure everything heals properly. So just important for you for planning for after the procedure and you know everything to expect every step of the way. Question number six, did the consultant or doctor check your donor and recipient area thoroughly before giving you an assessment? Obviously the most important part of the assessment is this area where your donor area, the back and the sides of the head, will be assessed to see if you are a candidate. Very, very important that they do measurements. They measure the donor and they measure the recipient area. They go over the type of hair characteristics that you have, go over the areas that you’re looking to have work done on as well as measuring other areas so they know for the future what can possibly be done. This goes hand in hand with my next question which is, question number seven, did they explain the type of hair characteristics you have and what kind of results to expect? So by having taken a look at your donor area and your recipient area and assess those areas, next they would go over the hair characteristics, your hair characteristics with you. So the hair characteristics that they should go over is hair caliber, hair texture, hair color, skin color, hair and scalp contrast and donor density. These are all important factors in the final result. Hair caliber is the size of your hair follicle. So whether it’s a fine hair, a thinner hair follicle, or whether it’s a coarse hair, a thicker follicle, or maybe in between more of a medium caliber. That will ultimately determine what kind of result that you can expect and you want to base that on a person’s hair characteristics. Second is hair texture. Whether you have straight hair, you have curly hair, you have wavy hair, all of these factor into how the result’s going to look afterwards. Obviously somebody with curly hair, visibly that’s going to cover a little bit more of the scalp then someone with straight hair, so this just needs to be taken into consideration. Not necessarily a benefit to have curly hair, but it just has to be addressed and kind of gone over with you, the consultant or the doctor should go over with you how this affects the procedure. Next would be hair color. So if your hair color is brown, this goes hand in hand with your skin color, and ultimately determines the hair and scalp contrast. So if your hair color is brown for instance, your skin color is light, there is a little bit of a contrast there. So it is not a bad thing necessarily but obviously a little bit more beneficial if you have more of an olive skin tone or brown skin tone if you have brown hair. So it will contrast, the contrast will be lower. Someone with lighter skin features, lighter hair color, it blends in much better. So artistically it’s just important to know that because hair and scalp contrast can make it look much more nature. Next and final thing to go over would be the donor density which is essentially on the back and the sides of your head how close the hairs are together. What type of density you have? And a lot of the time this can be measured in follicular units or grafts per square centimeter. So this will ultimately determine how many grafts you have available and this way the doctor can come up with, the doctor of the consultant can come up with a long term plan for you. So question number eight, did the doctor give you an estimate of how many grafts are needed and if future procedures would be needed. You want to know exactly how many grafts are being recommended to you and you will also want to know which areas are going to be addressed. Most of the time the scalp’s broken down into zones. Four zones is usually used. The hairline, the front, the mid-scalp and the crown area, being the back of the scalp. And you want them to go over how many grafts are being used, which areas are going to be addressed, and is the whole entire area if for instance you’re going to be doing a procedure for your hairline and your frontal zone is the entire frontal zone going to be addressed? Is half of it going to be addressed? You obviously want to know all the little details, how these grafts are going to be distributed and what kind of result to expect? 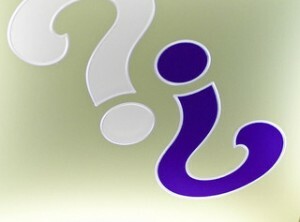 That leads into my next question which is, did you see past patient results of the doctors work? This obviously very important because by seeing photos you can see kind of the different number of grafts that have been used for different patients. Patients with the same hair characteristics as you, if they have fine hair and you have fine hair and how many grafts they received and which areas they did their work in. Just kind of gives you an idea of what kind of results that you can expect and obviously the better, with the results you obviously can tell how skilled the surgeon is and how natural the transplant will look afterwards. So just very important in seeing these and seeing the work of the surgeon and making sure that you’re comfortable with it and you know what kind of results that you can expect. So to sum everything up, I know during this broadcast I’ve said the words important and educate a lot. That’s really what it comes down to during a consultation is educating the patient. You want to know everything that the doctor’s going to be doing during this procedure. You want to know everything about your hair loss, your hair characteristics, if you are a good candidate, if this procedure is in your best interest, and if ultimately you’re going to be happy by getting a hair restoration procedure. Most people are candidates but there are a lot of people that aren’t. So just very, very important that you get all the information and that you understand how the doctor operates and really what kind of results to expect, and if you’re going to be happy with those results. 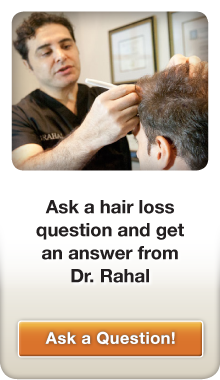 So that’s all for the important questions to ask yourself after a hair loss consultation. We’ll be back soon with another on hair loss, so please tune in next time. Again my name is Chad Cooper and I want to thank you for listening. 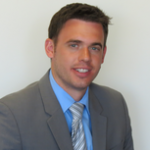 Chad Cooper is a Senior Patient Advisor at Rahal. 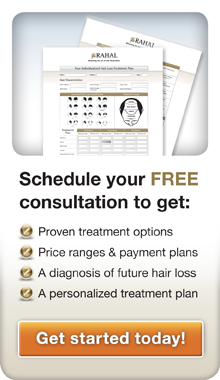 He has been consulting and advising patients on hair loss for over 6 years. Educating our patients on what is right for them in combating their hair loss continues to be his top priority. He is a huge film buff, sports fan and has always been passionate about Personal Development, Health and Fitness. Get all the top hair loss stories emailed daily! Follow us and receive exclusive promotions and discounts! ©2017 Rahal Hair Transplant. All Rights Reserved.